Do Homosexual Couples Value Women Less? Should We Honor Single Moms on Father's Day? Want a Democracy? Send A Christian Missionary! What Must God Do to Prove His Existence? It is a common bromide for people to claim that taking a secular approach to moral issues is better since secular positions aren't as biased by dogma. They claim religion will yield conclusions that are unscientific and unproven. The abortion debate is a perfect example, with the pro-abortion side creating placards of "keep your rosaries off my ovaries" and other nonsense. Rubio is right, of course. Take any human being and trace their point of origin and that being begins his or her existence at the point of conception. A fertilized egg, left to its natural progression, has all the information within itself to develop into a fully functional human being. Pulling just one quote from many, The Harper Collins Illustrated Medical Dictionary defines an embryo as "An organism in the earliest stage of development; in a man, from the time of conception to the end of the second month in the uterus. "2 This seems like a no-brainer, right? As you can imagine, the pro-abortion crowd went into overdrive to try and counter Rubio's assertion. Phillip Bump of the Washington Post went to a single source (the American College of Obstetricians and Gynecologists' Hal C Lawrence, III, MD) and derived a comment of when pregnancy begins, not life. Bump then concludes, "'Life' is something of a philosophical question. "3 Planned Parenthood's president Cecile Richards at first refused to answer the question of when life begins, claiming it is a question "that will be debated through the centuries. "4 She then said that for her her three children weren't alive until they were born. While folks like Mollie Hemingway over at the Federalist has done a good job taking apart the claim of no scientific consensus, I wanted to approach the view from another angle. If the beginning of life is something that can be debated and relativized for each person, then it stands to reason that the end of life can also. 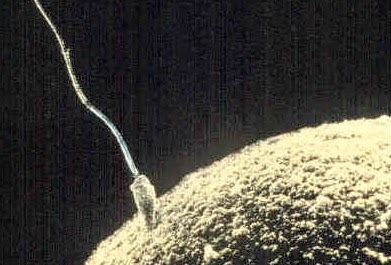 If science cannot determine if a human zygote is alive, then they cannot identify the clear signs of life at all. So, does that mean that death is a "philosophical" question that doctors cannot answer? Should doctors refrain from judging a person who claims his beloved wife is not dead? How can one pronounce a scientific assessment of death, given all its ramifications, for such a philosophical issue? Perhaps every hospital should have a staff philosopher on hand to help declare things alive and things dead! Determining life is actually easier than determining death, as two separate entities (egg and sperm) come together to form a new thing. Death doesn't always offer such a clear hallmark; there are cases where it is difficult to determine whether or not a person is dead. However, those are usually dealing with rare situations involving minutes or hours. A person who is dead for a week is definitively dead. In that sense it makes it even less plausible to beg off the beginning of life as "philosophical" while trying to retain a medical standard for the cessation of life. It's obvious that pro-abortion advocates are running scared in this line of questioning. They are making bad excuses and trying hard to marginalize a significant question of human existence for political and profit motives. They are trying to create a new dogma about life, while seeking to ignore the clear science that agree with the position of those who hold to the biblical view of human life beginning with conception. 1 "Rubio: It's 'the left' that denies 'scientific consensus' — on abortion." Speed Reads. THE WEEK Publications, Inc. Web. 15 May 2014 http://theweek.com/speedreads/index/261630/speedreads-rubio-its-the-left-that-denies-scientific-consensus--on-abortion Accessed 20 June 2014. 3 Bump, Philip. "Marco Rubio demanded people look at the science on abortion. So we did." The Washington Post. Web. 15 May 2014.. http://www.washingtonpost.com/blogs/the-fix/wp/2014/05/15/marco-rubio-demanded-people-look-at-the-science-on-abortion-so-we-did/ Accessed 20 June 2014. 4 Ernst, Douglas. "Planned Parenthood president: Start of life not ‘really relevant' to abortion discussions." The Washington Times. 28 Feb. 2014. Web. http://www.washingtontimes.com/news/2014/feb/28/planned-parenthood-president-start-life-not-really/ Accessed 20 June 2014.